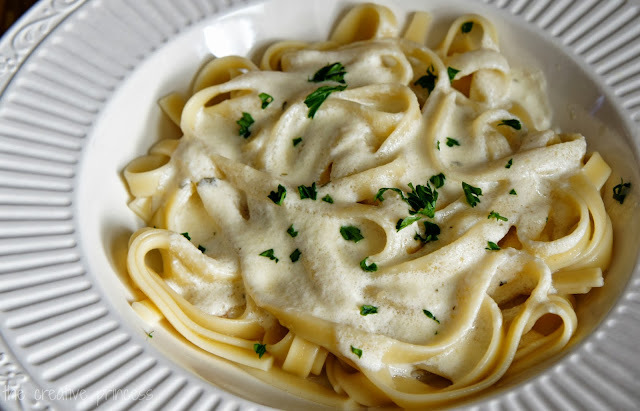 Fettuccine Alfredo is my absolute FAVORITE meal. Every time we go out to eat Italian, there is no question as to what I will be ordering. 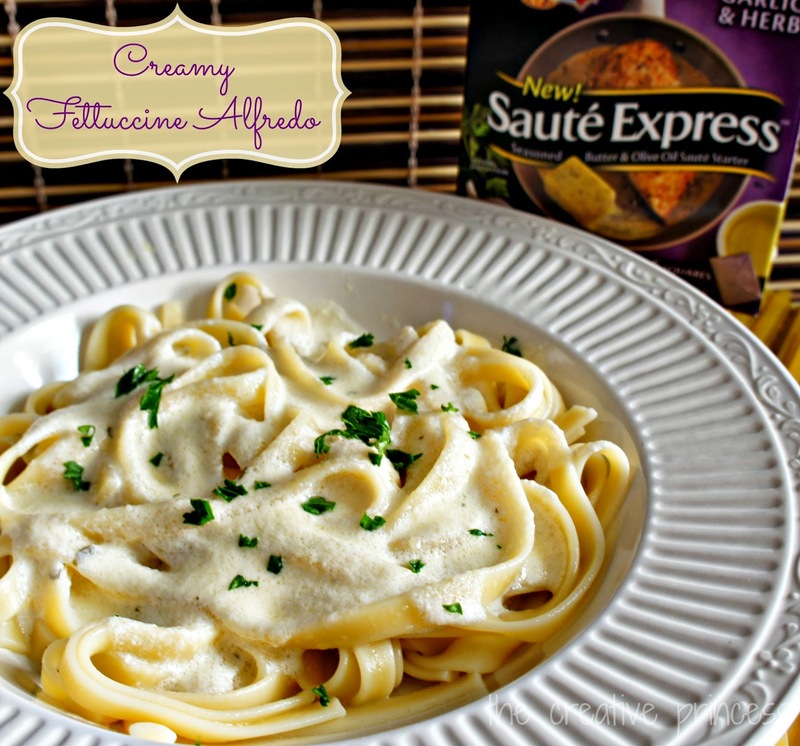 I have always been a bit intimidated to make Alfredo sauce at home, and no jarred Alfredo sauce comes close to being good. What is a girl to do?!? Luckily, my aunt showed me just how easy it is to make a few years ago. Now, thanks to Land O’Lakes Sauté Express® Sauté Starter it is even easier! All you do is add Butter, Cream Cheese and one package of Sauté Express® Sauté Starter to your pot. Stir until melted. Then simply add Parmesan Cheese and Half & Half and stir until melted. This does take a bit of time, just be prepared. 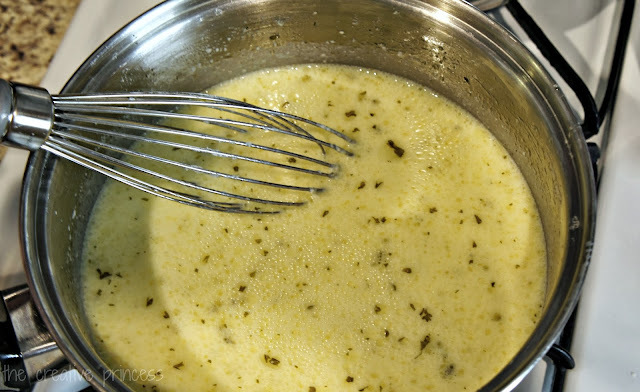 In about 20 minutes, you will have a delicious Alfredo Sauce and you didn't even have to chop garlic! Don't get me wrong, I love garlic, but I don't always love the smell of my hands after I chop it. Plus, my girls don't care for a lot of garlic. 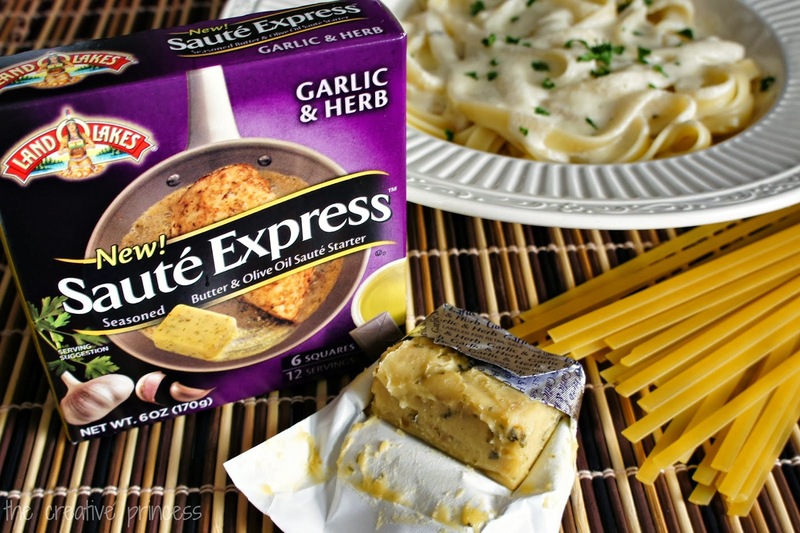 The Sauté Express® Sauté Starter Garlic & Herb adds just enough garlic flavor to your dish without being overpowering. Top with a few pieces of parsley, add a side salad and garlic bread and you have an amazing dinner in under 30 minutes! 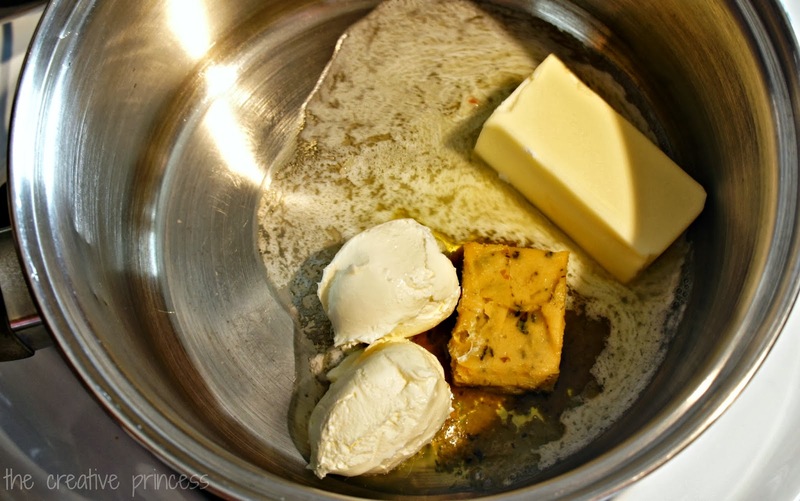 Over medium-high heat, in a medium saucepan, melt Butter, Cream Cheese and Sauté Express® Sauté Starter. Reduce heat to medium and add Parmesan Cheese and Half & Half. Stir until thoroughly combined and melted, this will take 15-20 minutes. Do not boil. Serve warm-hot over al dente Fettuccine noodles. Be sure to check out @LandOLakesKtchn and #SauteExpress on Twitter for even more delicious dinner ideas and recipes! Also be sure to print out a coupon for Land O’Lakes Sauté Express® Sauté Starter before heading to the store!